One of the first and most important decisions independent contractors make is how to structure their business. The IRS offers a number of different legal business structures independent contractors can form under. Each of these types of entity formation have specific pros and cons that independent contractors should consider. Whether they’re an athlete or a lawn care provider, a tattoo artist or an Uber driver, independent contractors often form as sole proprietors, especially when just starting out. Sole proprietorships are fast and easy to set up. No state filings are needed in order to begin conducting business. Just print up business cards and go. All income and expenses are reported on personal income tax forms, making it fairly simple to pay taxes. Sole proprietors are responsible for paying self-employment tax, which is the full amount of all Social Security and Medicare taxes. Another downside is that the personal assets of sole proprietors may be subject to seizure in the event a legal judgment is rendered against the business. In addition to paying income tax, sole proprietors typically have to register with local taxing authorities and must pay any number of other business taxes as required. Other independent contractors take the extra step of forming a single-member LLC. This is particularly true of some sole proprietors who want to realize more long-term stability in their businesses. Like sole proprietors, single-member LLCs report income and expenses on their personal income tax forms. So, taxpaying is pretty easy. Also, because LLCs are a distinct legal business structure, they keep business obligations separate from personal assets. This protection of personal assets is one of the primary reasons why independent contractors form an LLC. Single-member LLCs require business owners to file registration forms with the state in which they do business, so it takes a little bit of effort and time to get going. 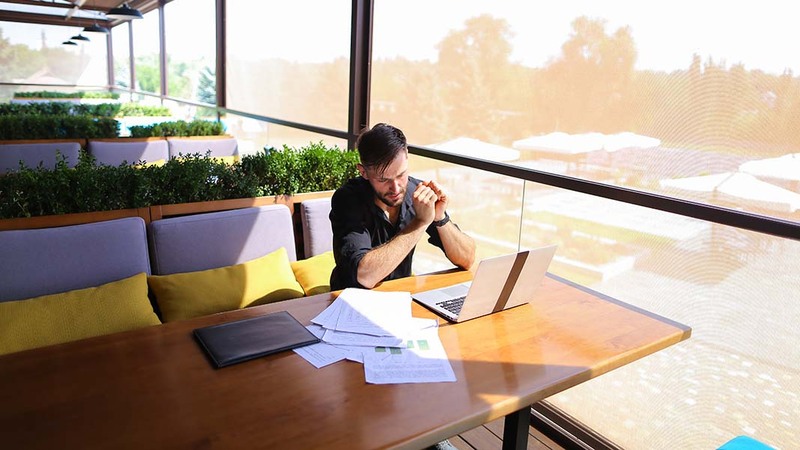 Like sole proprietors, single-member LLCs are responsible for paying self-employment tax and must register with local taxing authorities in order to pay required business taxes. A third business structure independent contractors might consider is the formation of a corporation. Incorporating your business, as either an S corp or a C corp, offers a unique set of advantages and disadvantages. Similar to LLCs, a corporate business structure separates business obligations from personal assets, protecting the owner from legal liability. Also, corporations can issue stock, which makes it easier for business owners to attract interest from investors. This is often invaluable for taking the business to the next level. Note: S corps are limited to 100 shareholders, while C corps have no limit on the number of shareholders they can have. Forming a corporation takes time and money. State guidelines are usually fairly involved and include filing articles of incorporation and bylaws. Corporations are also obligated to hold regular meetings of directors and keep records of corporate activity. When it comes to taxes, corporations file independently from personal taxes. Financial records, including stock issuances, must be meticulously tracked. With the enactment of the Tax Cuts and Job Acts, passed by Congress in December 2017, corporations currently enjoy preferential tax treatment. A knowledgeable accountant can help you decide whether incorporation or some other business structure is best for your independent contracting business.